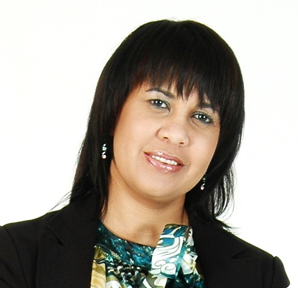 LLM graduate and former Dean of Law for Nelson Mandela University, Prof Vivienne Lawack, is one of only two women still in the running for the high-level post of vice-chancellor at the University of Cape Town (UCT). 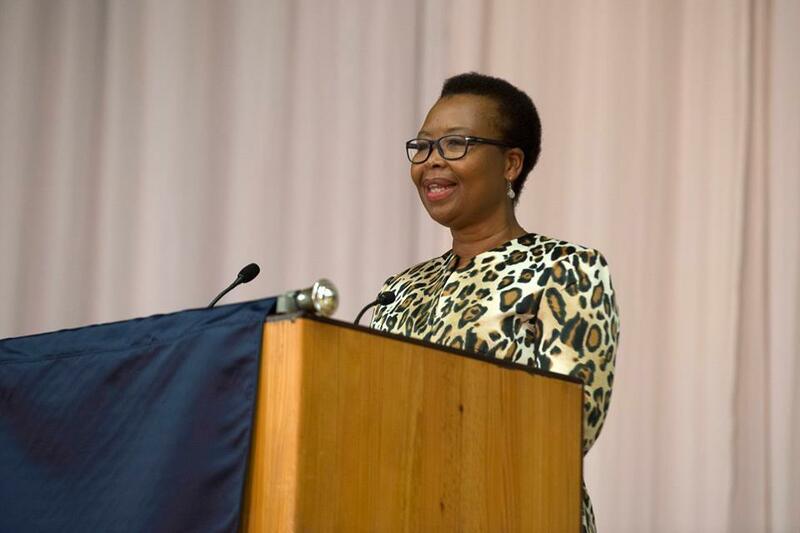 Prof Lawack took the post of Dean of Law and Deputy Vice chancellor at the University of the Western Cape (UWC) after serving Nelson Mandela as Executive Dean of the Faculty of Law since 2008 and a Nelson Mandela University Alumni Ambassador. In her role as NNMU's Dean of the Faculty of Law she provided strategic direction and managed the operations of the faculty as well as its core functions of teaching and learning, research and engagement. Nelson Mandela University alumnus and 2014 Alumni Achiever Award recipient, Deon Schoeman continues to build his Klinicare pharmacy industry. Deon Schoeman born and bred in Cotswold, Port Elizabeth, Cotswold, is a former MPharm graduate and one of the first generation pharmacists coming from a middle-class family to own a pharmacy which now has 250 members across 15 branches and wholesale centres within the Port Elizabeth City. In 1984, Schoeman opened his first Klinicare pharmacy after completing his national service as a pharmacist. Being inspired by a retired pharmacy retailer from United Kingdom on holiday at the St Francis Hotel where he was a wine steward during school holidays earlier. 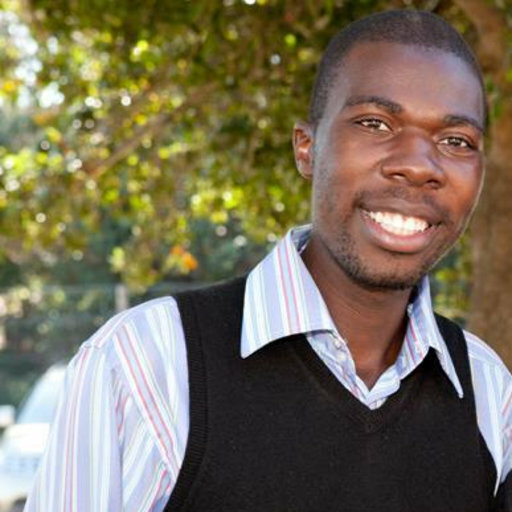 Schoeman began developing ideas even though he was struggling financially to implement them. After being supported by different people, he started to implement his idea and secured a site for building Klinicare Pharmacy. Today Klinicare pharmacy is well known for its services and the good treatment it offers to patients. 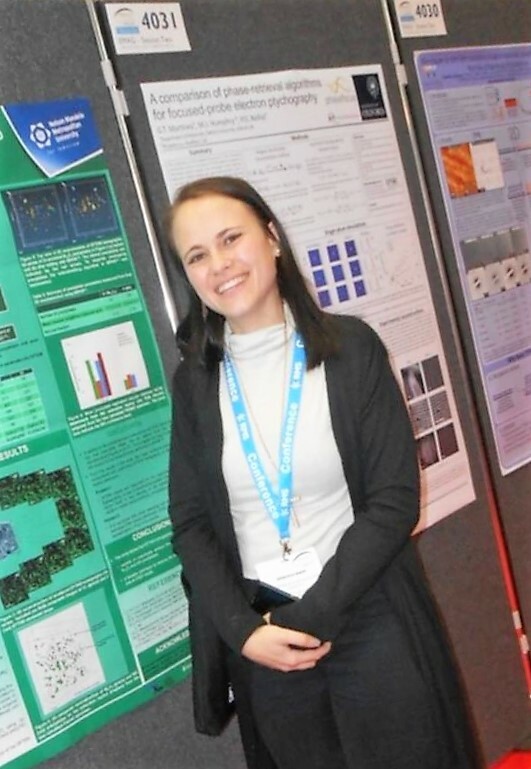 Nelson Mandela University PhD students and alumni, once again, excelled at the annual conference of the Microscopy Society of Southern Africa held in Bela Bela recently. Patrick Mwanza – PhD candidate and MSc Biochemistry alumnus from the Department of Biochemistry and Microbiology – won the Carl Zeiss prize for the best presentation that uses microscopy to address an industry related problem; and Genevéve Marx – PhD candidate and MSc Physics alumnus from the Centre for HRTEM (High Resolution Transmission Electron Microscopy) – walked away with the Wirsam Scientific award for the best paper presented by a student author in the materials division, as well as the Scientific Group prize for the most innovative microscopy technique at the conference. The Centre for High Resolution Transmission Electron Microscopy is a facility for advanced electron microscopy situated at the University. The facility houses four state-of-the-art electron microscopes - including the only double aberration corrected transmission electron microscope on the African continent - as well as the enabling infrastructure for sample preparation, data processing and image simulation. Other instruments include a fully analytical TEM, a focused ion beam scanning electron microscope and an analytical high-resolution scanning electron microscope. The main aim of the Centre for HRTEM is to provide a broad community of South African scientists and students with a full range of state-of-the-art instruments and expertise for materials research. It is my privilege to welcome you all to Nelson Mandela University as the 2018 academic year gets underway. It is wonderful to have our campuses bustling with life and energy as you all embrace the responsibilities that face each of us, be it as a staff member or as a student. For students joining us for the first time, I extend a warm welcome to you as you join the Nelson Mandela University family. For those returning I trust you have reflected on your intellectual journey of 2017 and are firmly focussed on working consistently to achieve academic success during 2018. To all staff members, some of whom resumed duty when we opened on 3 January, and others who are now all also returning, I trust that you have had the opportunity to enjoy time with family and friends and are now refreshed and filled with purpose and commitment in whatever capacity it is that you are employed at the University. 2018 is a particularly significant year, as it is the centenary of the birth of our namesake Nelson Rolihlahla Mandela. As the University community we need to remain constantly aware of the privilege and responsibility of carrying the name of one of the world’s greatest leaders in modern times. It is a name that is respected throughout the world. The honour of bearing this name comes with huge responsibility. Nelson Mandela remains a commanding, and unparalleled leader. He dedicated all his life to creating a more equal and just society and ensuring a better life for all. He had deep compassion for humanity, particularly for the marginalised, and as we all know, he made huge personal sacrifices in his relentless quest for a better world. And, of course, he placed huge importance on education as a force for good. So, it is expected of all of us – staff and students of Nelson Mandela University - to consciously live his legacy in all that we do. As it stands today, 23 341 students have registered for the 2018 academic year, and registrations are still underway. Whilst these numbers are encouraging as they place us on par with where we were in 2016 and show a recovery from the 2017 dip in numbers, we are still below our enrolment targets. We need to work with vigour to ensure that we work seamlessly to complete the registration of as many of the students in the system as possible. 2018 promises to be a great year. During the year we will be reflecting on our strategy to carry us forward for the next five years. We are embarking on a Listening Campaign during the first semester, to meet with staff and students and to hear your voices in what we need to do, and particularly what we need to do differently and more innovatively, so that we take our place as a proudly African university, while we continue to work together to place our University firmly on a sustainable footing for the future. I welcome you all and look forward to us working together to achieve our common purpose. 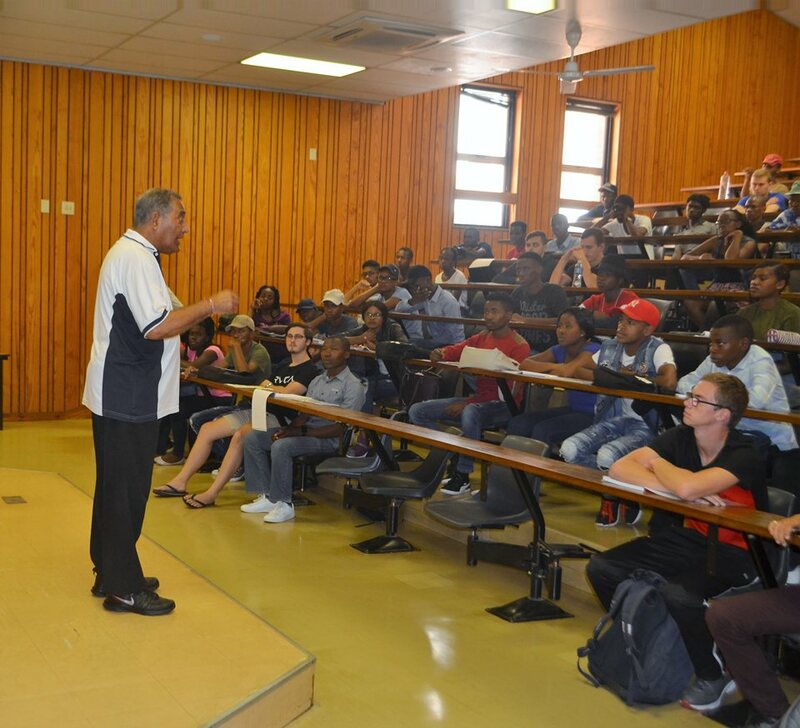 BTech Electrical Engineering graduate Ken Ramjee, an active Nelson Mandela University alumni ambassador, Engineering Council of South Africa (ECSA) member and volunteer welcomed the first-year Electrical Engineering students in their numbers on the university’s North Campus. The purpose of the lecture was to congratulate, equip and ensure students have made the best decision in choosing Nelson Mandela University and Electrical Engineering as their first option in furthering their studies. He wished the students well and encouraged them to work hard as they will reap the rewards at the end and shared some information about the ECSA. “The Engineering Council of South Africa is a statuary body established in terms of the Engineering Profession Act (ECA). The lecture was closed by a senior student who also wished the new Electrical Engineering students a good year.